Operative word here is simple, since I get too flustered and nervous when I cook. After all, I have growling stomachs waiting for me and my dishes, I just get too pressured. Berto, on the other hand, loves to cook. He hails from a family of good cooks, plus he genuinely enjoys the whole process of planning the dish, buying and preparing the ingredients and finally slaving over the hot stove. A few years into the marriage, we have come to an unspoken agreement that he’d do the cooking while I do the eating…and the customary praising of his good culinary skills. Here is my recipe for Delicious Stir Fried Veggies! *sometimes groceries sell sliced mixed veggies. Make sure to keep an eye out for spoiled parts. Clean carefully. Clean vegetables thoroughly. Heat a non-stick pan and put in the sesame seeds. Shake the pan occasionally. Remove the seeds when they darken and become fragrant. Next, sauté the garlic and onion until onion becomes translucent. Put in the meat and stir until it changes color. Season with salt and pepper. Once meat is tender, the mix in the vegetables. Stir and add a generous amount of sesame seed oil. 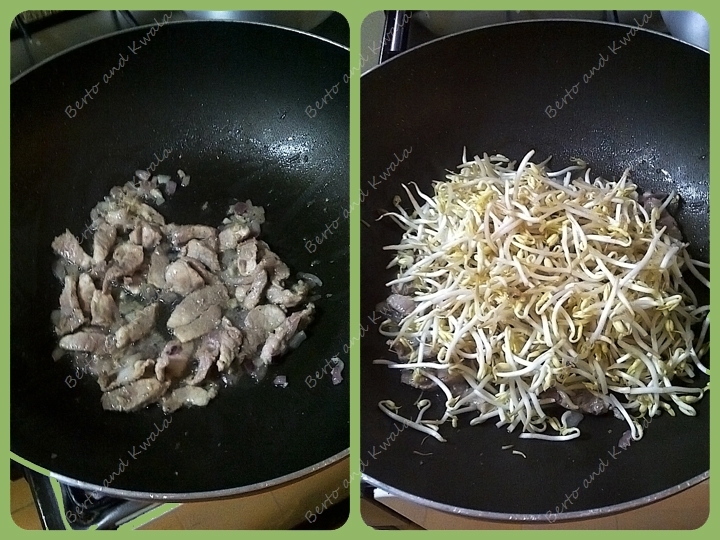 It makes the dish so fragrant! Season with sugar, pepper and salt according to your taste. Turn off the heat and serve in a bowl. 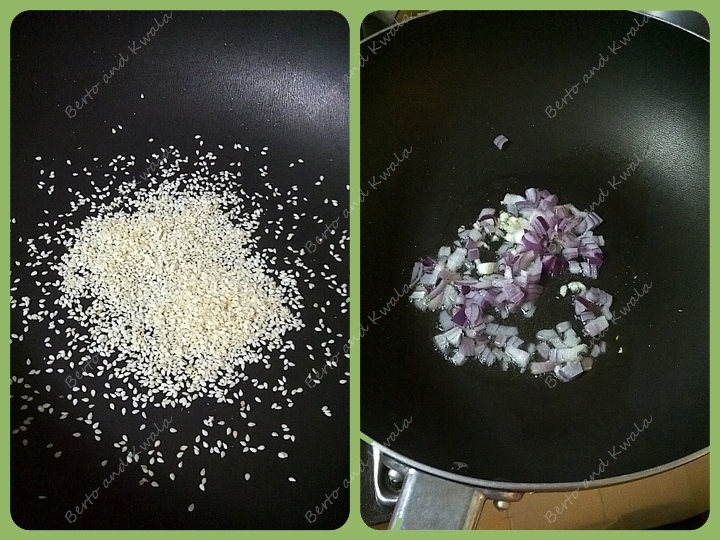 Sprinkle the toasted sesame seeds on the vegetables. This is both for presentation and for taste. Voila! All that took less than 30 minutes! It was delicious! No lie there, haha after all, one has to love her own! I am encouraged to give cooking one more try. Maybe next weekend! Give this simple stir fry dish a try and let me know how it goes! 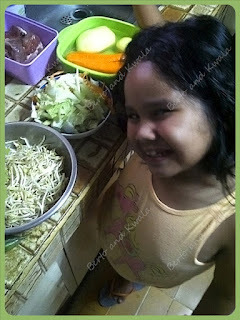 Thanks so much for the comment you left on my blog, Kwala!